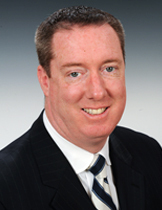 Gerry joined the firm in 1998, and became a partner in 2006. His litigation practice encompasses municipal, professional, construction and automobile liability defense, as well as a broad range of other commercial and insurance defense matters. In addition to an active litigation practice, Gerry also heads our Estate Planning and Administration Practice, offering a full array of services in the area of wills, trust and estate planning, as well as administration of estates.